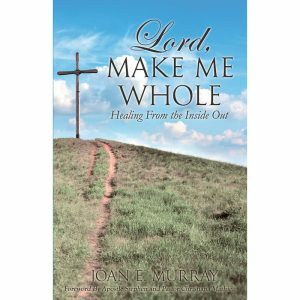 For all other questions or concerns, please contact us at (281) 398-2501 or visit us at www.JoanMurrayMinistries.org. Thank you. 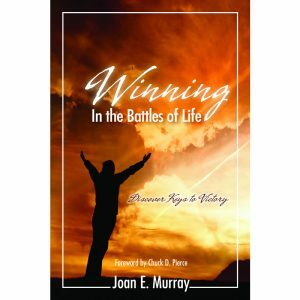 Joan is an ordained minister, author, international speaker, missionary, and founder of Joan Murray Ministries and Seeds Of Hope Worldwide Missions. During the past twenty years Joan has taught the life-changing Word of God in churches, Bible study classes, international conferences, seminars and workshops. Her love for the Lord and her study of the Word has equipped her to teach, train, counsel and pray for those in need. Her gift of intercession has deepened her love for people and has given her a heart of compassion, as well as a passion to see people whole, healed and set free by the power of God. Joan ministers with an emphasis on teaching the whole Word of God. 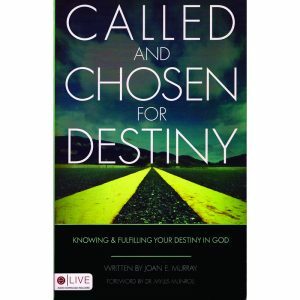 She has made appearances on Houston's Daystar Celebration TV show, TBN Houston, Houston Public Access Outreach TV, TCT Network, Larry on the Air.com Radio show, In the Spotlight with Theresa Hannah Radio Show, Revealed Radio Show and the Chosen for Destiny Shows. What is Joan Murray Ministries? Joan Murray Ministries is a non-profit, Bible-based, Christ-centered ministry dedicated to impacting the lives of people around the world with the Power and Truth of the Word of God. 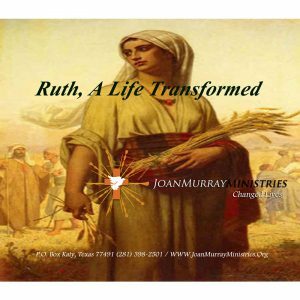 Joan Murray Ministries is called to share the life-changing Word of God to the masses; to care for the sick, the widowed, the poor; and to help provide shelter for orphans. The ministry is also called to teach, train, and equip people through the Word of God by helping them achieve freedom, wholeness and victory in Christ Jesus. What are the doctrinal beliefs of Joan Murray Ministries? We believe the entire Bible is the inspired Word of God. The Word of God is the basis of our faith, conduct and doctrine. We believe in one God who exists in the form of three distinct Persons: God the Father, God the Son and God the Holy Spirit. We believe that Jesus Christ is the Son of God, who was born of a virgin, died and rose again. We believe that salvation is found in no other name, but the name of Jesus, and one day He is coming back for all believers. We believe in water baptism, which symbolizes the death, burial and resurrection of our Lord and Savior, Jesus Christ. We believe that we must be filled with the Holy Spirit to be empowered for service in the Kingdom of God. We believe that every believer should be disciplined to grow in a relationship with Jesus Christ, and the Holy Spirit of God will train and develop them to become conformed to the image of Christ. We believe that we have power to overcome all situations because of the Presence and Power of the Holy Spirit living in us. We believe that Jesus provided access for us to have a relationship with God when He took our past, present and future sins and nailed them to the cross. What is the purpose of Joan Murray Ministries? Our purpose is to change the lives of people through Bible-based teachings that will set the captives free. Through the Word, prayer, fellowship, and sharing, we see "Changed Lives." When lives are changed there is an awareness of God's greatness, and the understanding that He is with them in every situation which brings peace. It is also our desire to teach, encourage, pray for, support, and assist those who have a calling on their lives for ministry to fulfill the destinies that God birthed in them. How is Joan Murray Ministries funded? Joan Murray Ministries is funded by seeds from supporters who attend the Bible studies, her books, conferences and workshops, by supporters who plant seeds via our website, or through the generosity of Joan Murray Ministries' partners. How do I contact Joan Murray or her team? Your requests, questions or concerns for Joan or her ministry team will be acknowledged at www.JoanMurrayMinistries.org in the "Contact Us" section. Where are the offices of Joan Murray Ministries located? We are located in Katy, Texas and our mailing address is: P.O. Box 5073, Katy, TX 77491. What is Joan Murray's message about? 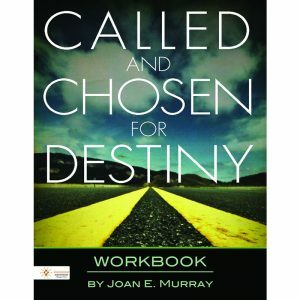 Joan Murray Ministries' desire is to equip and bring freedom and deliverance to her audience. The message of hope and encouragement brings, healing, hope, and redirection to those who have been wounded by life’s circumstances. The ministry attempts to clarify the destiny God has for those desiring to walk out of mediocrity and into the fullness of God by developing a hunger and desire for a deeper relationship with Christ. Are the study messages available for sale to the public after each meeting? Messages are available after every Bible study, or may be purchased at the website in the "Shop Online" section. Has Joan Murray written any books or published any articles? If so, where can they be acquired? 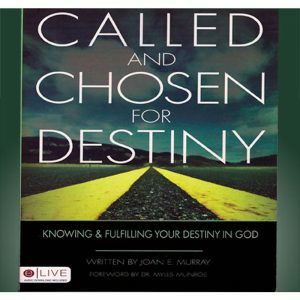 Joan's books are available in bookstores or at www.Tatepublishing.com, Xulonpress.com, and other national websites- "Called and Chosen for Destiny"; "Winning in the Battles of Life"; "Time in Life's Waiting Room"; "Boldness in Christ"; "Freedom In The Son"; "Flow Through Me Lord"; "Show Me How to Love"; "Overcoming Loneliness and Aloneness"; “Hope in Difficult Seasons”; “Faith That Conquers”; “Worship, Our Deepest Need”; “Reconnect”; and “Lord, Make Me Whole”. Are there any radio or television broadcasts of Joan Murray Ministries? Joan Murray Ministries show can be seen on You Tube and Facebook. The recorded messages may be purchased at the website under "Shop." We can be found on Twitter, Facebook, and Blogger under the ministry name. Where does Joan Murray teach? Regular Bible study is held at various locations in Houston, TX and the surrounding areas. She also speaks at conferences, workshops, church events, and churches all over the world. For up-to-date information of Joan's current speaking schedule visit the website's 'Events Calendar'. Is there a fee to attend Bible study or any event? All Bible studies held are free. For all other events, please check the website for upto-date information regarding any associated fees. Is the Bible study open for attendance or is reservation necessary? 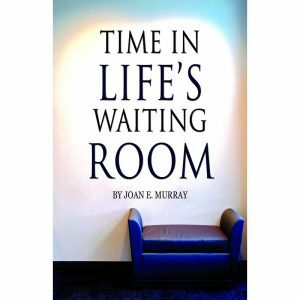 You may attend Joan Murray Ministries' Bible studies any time without reservation. For conferences, workshops or other private events reservation may be required. Childcare is provided. You are welcome to bring your children. We are currently conducting a Bible study class for children during the main Bible study. 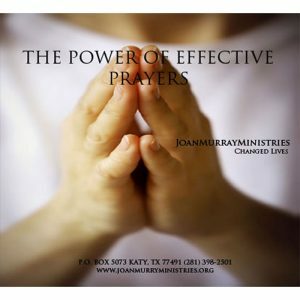 You may contact us at the ministry's website at www.JoanMurrayMinistries.org, e-mail us at JMMcontactus@gmail.com or call us at 281-398-2501. Can I make a request to have Joan Murray speak at our organization's event? Yes. Please use the "Contact" link at the website or e-mail us at JMMcontactus@gmail.com or call us at (281) 398-2501. The ministry will provide you with the appropriate event information package. How can I find out if Joan Murray will be speaking in my city this year? We frequently update our events at the ministry's 'Events Calendar' at the website. Please let us know, if you would like to schedule an event in your city at JMMcontactus@gmail.com; and we will make every effort to include your city or nearby cities for our future events. Does Joan Murray Ministries support any non-profit organizations? Yes. Joan Murray Ministries supports, Destiny Through Christ Church, Ericka White Ministries, Katy Community Fellowship, Word In Season Intl., Templo Monte De Sion Intl, and various ministries in Honduras, Guatemala, Belize, Zimbabwe, Haiti, San Salvador and many more. 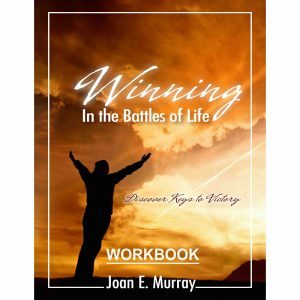 How can I become a partner or a sponsor to Joan Murray Ministries? To find out how you can be part of our rewarding tax-deductible partnership or sponsorship to Joan Murray Ministries please visit us at www.JoanMurryMinistries.org at our 'Resources' link. Are there other Joan Murray products or merchandise available for purchase? Yes. Products are available for purchase at our 'SHOP' under our website, or may be viewed at scheduled speaking events. Joan's books may be found at bookstores nationwide and online, including Amazon.com, Barnes and Noble, Xulonpress.com, Tatepublishing.com, Target, and many more.